Welcome to Victor Walker Fuels Are you looking for home heating oils in Lisburn and the surrounding areas? If you are, look no further than the high quality fuels on sale from Victor Walker Fuels. With a wealth of experience and knowledge in the trade and exceptional rates, there is nothing we cannot help you with when it comes to heating fuels and coal in Maze and beyond. 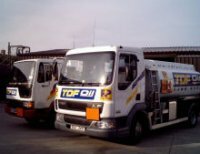 TDF OIL a family owned and operated Independent Home Heating Oil Distributor; in the greater Lisburn City area, offering oil users the option to budget for their next top-up using a TDF OIL PayPoint Card. Stanley Gordon & Sons offers a comprehensive range of top quality fuels, friendly and reliable service from our base in Lisburn - and always excellent value. Whatever your fuel needs, we can advise. Call our office to obtain a quote. We deliver to most areas daily. 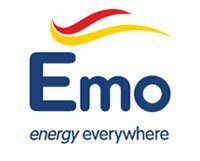 From a complete range of coal, smokeless fuels, Kerosene gas oil or road diesel, we can supply all the products your business, home or farm needs, quickly and efficiently. Bulk deliveries on request. Discounts given for coal orders of 10 bags or more. We believe in offering friendly, personal service, which is why we have local offices, not a single call centre, and why, when you call us, the phone will be answered by someone who lives in your area and knows it well. As your local distributor of Jet fuels, we are committed to supplying you with quality heating oil at competitive prices. And because we’re local, we know the area well – ensuring a speedy and efficient delivery service, when you need it. Why Oil? Irwin Fuels is an authorised Maxol oil distributor. We are one of the oldest family owned oil businesses in the Province. Founded 70 years ago by Mr Joseph H Irwin, we continue to be owned and operated by the Irwin family. From small beginnings in 1937, we have grown from horse drawn transport to a fleet of modern tankers driven by a team of fully trained and qualified drivers. Customers can trust that our years of experience in the oil business guarantees a professional approach to all aspects of customer care - from enquiries and orders to service and delivery. From administrators to drivers, our commitment to teamwork ensures a courteous, prompt and efficient service. Ian Martin Fuels is an independent family owned home heating oil distributor. The business has been operating in the Lisburn area for over 21 years and offers a prompt, safe, reliable and dependable service. Our experienced and friendly staff aim to give you the highest levels of customer service ensuring that you get your oil at the right price at a time that suits you. Delivery is normally within 3 working days and we offer a 6 day delivery service from our Lisburn base. Please ensure that access gates/doors/ oil tank lids are unlocked. Office Hours Monday/Friday 08.30 till 17.30 and Saturday 08.30 till 12.30 Pre Payment Plan. Please contact us for full details of this convenient way to pay your fuel costs. Or click here to download Standing Order Form, Print out and fill in your details then post to our contact address.